Meeting Location: Meet at the commuter parking lot on Highway 6 just south of Hwy 401. Description: First stop will be at the DesJardins Canal in Dundas where a wide range of waterfowl is possible, including close views of Hooded Merganser. A few Double-crested Cormorants general persevere here through the winter. The vegetation should yield a variety of species including American Tree Sparrow, Downy and Red-bellied Woodpeckers – and who knows what else? 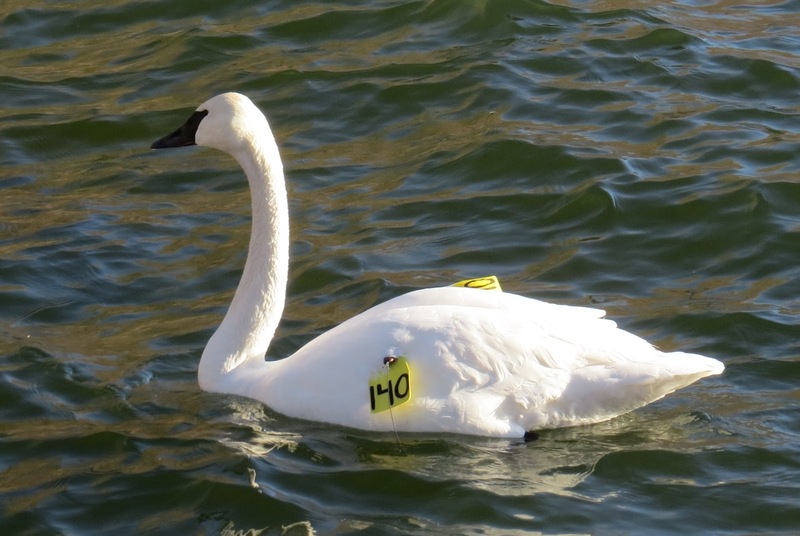 We next head to LaSalle Park in Burlington where the largest concentration of Trumpeter Swans in Ontario will be present, in addition to many species of gulls and waterfowl. The boardwalk through the woods might yield Carolina Wren, Northern Mockingbird, Eastern Screech Owl woodpeckers, sparrows and the chance to hand feed Black-capped Chickadees. Next stop will be Sioux Lookout Park, often a reliable location for Long-tailed Ducks at close range. The water is very clear and the ducks can be seen “flying” underwater. Large rafts of Common Goldeneye are usually present, by now well into their entertaining courtship routine. All three scoters are possible, as are Red-breasted and Common Mergansers, Bufflehead, Mute Swans and others. Proceeding eastward along the lake, we stop at various points (e.g. Paletta Park, Bronte Harbour, Lakeshore Promenade) being guided by recent reports, and the time of day. Somewhere we hope to encounter Red-necked Grebes and possibly Horned Grebes. Plenty of washroom stops along this route and we will stop to have lunch together. This is a full day's outing so pack a lunch and snacks if you need them. Dress according to the weather, bring binoculars, a scope if you have one, a field guide and lots of enthusiasm.